Share the post "Rutgers Awarded $360,000 HUD Grant to Reduce Residential Health Hazards"
Changlu Wang, associate extension specialist in urban pest management in the Department of Entomology. Entomologist Changlu Wang, associate extension specialist in urban pest management in the Department of Entomology, and researchers in the Urban Entomology Lab he leads, were awarded $360,000 by the U.S. Department of Housing and Urban Development (HUD) to investigate patterns of pest infestation and pesticide use in low-income housing in New Jersey. The Rutgers researchers will conduct their investigation in four housing communities–Jersey City, Linden, Paterson and Trenton–that collectively include 3,928 apartments. The Rutgers grant is part of $4.2 million in research awards from HUD to eight universities and public health organizations to develop new and improved methods to identify and control residential health hazards including lead-based paint, mold, radon and pest infestations. Funded by HUD’s Healthy Homes Technical Studies program, the grant allows Rutgers researchers to provide much needed support for tackling the current bed bug outbreaks in low-income housing and gain a deeper understanding of the current pest infestation patterns. 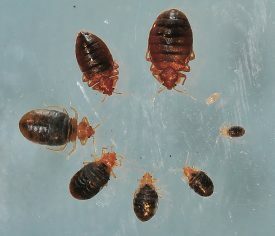 All stages of bed bug after feeding. “Support from federal grant programs is critical to continue the effort in understanding factors associated with higher pest infestations, developing more effective pest control methods and programs as well as minimizing pest populations and the health risks related to pest infestations in homes,” said Wang. Low-income communities suffer disproportionally higher infestations of cockroaches and bed bugs than the rest of society in the U.S. They pose significant economic burdens and health risks to low-income communities. Recognizing the need for more effective pest management methods and tools, researchers in Rutgers Urban Entomology Lab have been collaborating with housing authorities, pest control companies, manufacturers and government agencies in reducing the pest problems over the past nine years. 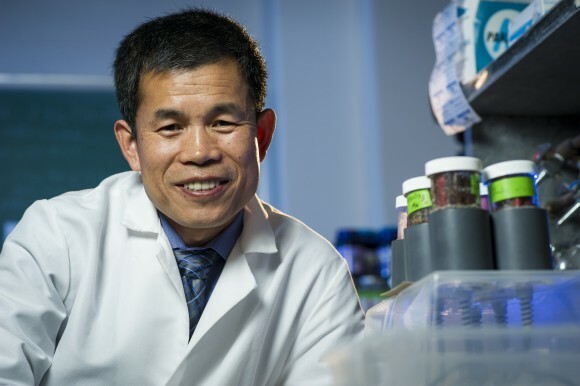 According to Wang, research activities from his lab have produced model bed bug inspection protocols, bed bug control programs, a bed bug lure product and information on the patterns of bed bug infestations in low-income communities. “The long-term goal of our ongoing research is to produce safer, more economical and sustainable pest control solutions for low-income communities,” he said. The HUD grants are particularly important to protect vulnerable populations, such as children, seniors and people with chronic illnesses such as asthma, from exposure to these hazards. Read a complete project-by-project summary of the current HUD-awarded programs. 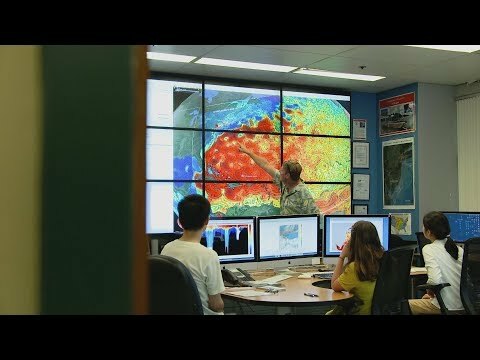 How Rutgers is keeping an eye on our oceans: LiveBIG 2018-19. Working to help shape our future, the Rutgers University Center for Ocean Observing Leadership (RUCOOL) uses cutting-edge technology, such as deep-diving drones, to monitor the status of oceans and seas around the globe. Find your Rutgers Cooperative Extension county office, your first stop for information and assistance in NJ.